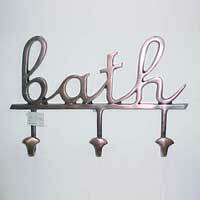 We are chiefly engaged in manufacturing and exporting a premium range of Bathroom Accessories. 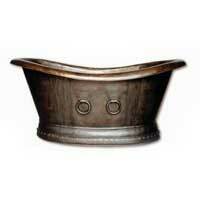 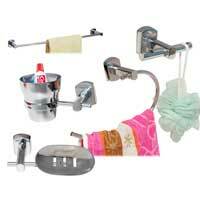 The Bathroom Accessories provided by us are skillfully designed as per the latest trends in the markets. 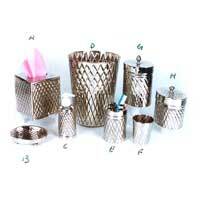 These stylishly designed Bathroom Accessories are made from high-grade solid brass and stainless steel, to ensure better quality and longer life. 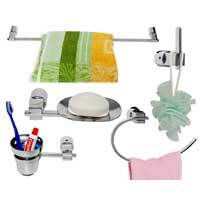 Our comprehensive array of Bathroom Accessories comprises Brass Chrome Plated Bath Fittings Set, Copper Bath Tub, Brass Silver Plated Bath Set, Silver Plated Bath Set, Antique Brass Hook, and Brass Chrome Plated Bath Fitting Set. 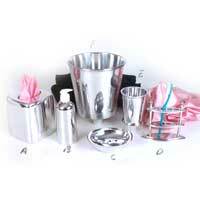 All the Bathroom Accessories that we offer lacquered for a permanent coating.